World Vision is currently providing emergency relief and recovery support to survivors of recent disasters such as the Sulawesi earthquake and tsunami, Typhoon Mangkhut and Lombok earthquakes. Recently, we also provided relief to those affected in the floods in Laos and Myanmar. Ongoing disaster rehabilitation and recovery work in other parts of the world include climate change resilience work in Kenya and the Philippines and refugee responses in Bangladesh, Jordan and Lebanon. Typhoon Mangkhut made landfall in Baggao, Cagayan at 1.40am, local time, 15 September. Some 1,096,799 people have been affected. About 40,000 people were evacuated early, and 90% of them are being housed in evacuation centres . There is massive flooding in 79 areas and an estimated US$250 million in crop damage. 51 landslides and 34 deaths have been reported in Corderillo and Benguet. In Baggao, where Mangkhut first landed, the homes of more than 3750 families were damaged by the typhoon, and agricultural losses are estimated at US$8.3million. The immediate needs of affected families there are food, shelter, and hygiene supplies. World Vision has started relief distribution to 780 families in Cagayan and are on ground in Benguet where the landslides occurred. World Vision is set to support emergency needs in the next 6 months, in Cagayan Province for families in Cagayan (Baggao) and Benguet, two of the typhoon’s hardest hit areas. Our current focus is on providing affected children with child protection and psychosocial support, affected families with essential non-food items, hygiene supplies and water purification kits. To help families rebuild and tide over the current period, we will also provide shelter support and emergency cash support for needy vulnerable families. To sustainably help families struck by or prone to typhoons such as Mangkhut, we will build on disaster resilience or livelihood recovery work in these communities. Our existing community development work pre- and post-disaster also help families in poverty become self-reliant and increases their resilience to disasters. Lombok Island has been struck by multiple earthquakes. More than 3.5million people have been affected, including over 430,000 who are displaced, 483 have lost their lives and 1,413 are injured. With the recent two earthquakes on 19 August, after the first three earlier in the month, needs have expanded and help is needed in more provinces in Lombok. There continues to be calls for humanitarian assistance. World Vision is responding to the urgent needs of survivors in Lombok. We have been on ground since the aftermath of the first quake, and focus especially on the needs of young children under two years old. Heavy seasonal rains resulting in floods continue to affect several states and regions in Myanmar. Floods have been ravaging various states in Myanmar since 26 July, but as of 1 August, fresh rainfall is still threatening to break embankments and worsen the current flood situation. The Straits Times reported damage including the collapse of roads, bridges and expansive inundation of land. Channel News Asia reported on 2 Aug that “more than 130,000 people have been forced from their homes and a dozen people (have been) killed”. Where World Vision is responding, more than 21,000 people have been reportedly displaced in Bago State and more than 16,000 have been evacuated from Kayin State. Schools are currently being used as evacuation centres for flood-affected people who have lost everything. It is currently still difficult to reach flood-affected people who are living in villages which are flooded over, but aid is on its way. Tropical storm Son-Tinh has affected 11 provinces in Laos causing heavy rainfall and flooding. The situation escalated with the incident at the Xepien-Xenamnoy Hydropower dam construction in Attapeu Province. Consequently, flash-floods have affected 11 villages downstream. 16,256 people belonging to 3747 families have been affected. 27 deaths have been reported so far with another 131 people missing. The livelihood of the affected population has been damaged, with paddy fields flooded in many areas. Access to clean drinking water has been cut off. Families have lost their homes and everything they own. Children are at risk and remain vulnerable with no shelter and basic necessities. In the immediate relief phase, World Vision will focus on food, sanitation, hygiene and shelter interventions. This is to respond directly to the need to avoid preventable hygiene-related diseases as well as to address the lack of access to clean water as a result of the floods. clothes lines, cloths, female hygiene items etc. In the coming months, we will be reaching some 250,000 beneficiaries with nutritious food and food vouchers, income generation activities, stronger shelters, maintained clean water systems and sanitation facilities and child protection. 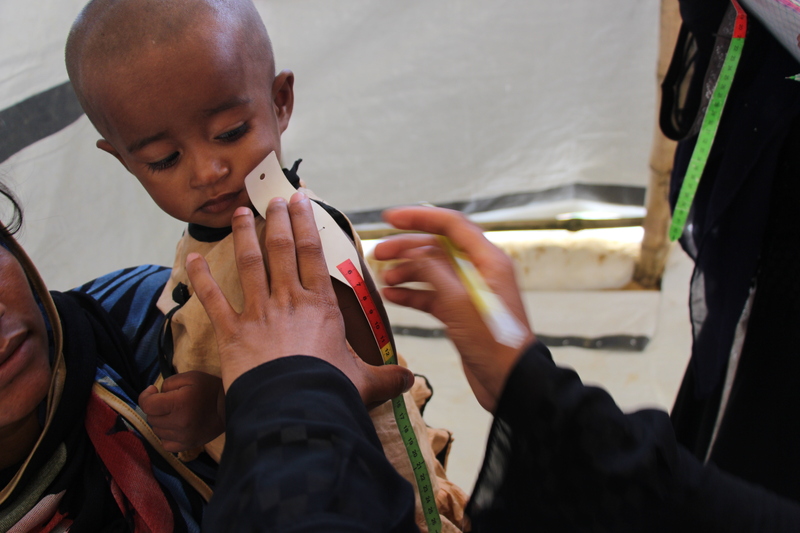 Child refugees will also receive malnutrition screening, nutritional support, baby kits and psychological first aid. A year has passed since refugees fled Myanmar for Bangladesh. Many of these refugees identify as Rohingya. One year on, 1.2 million people (including host communities) are in need of assistance. 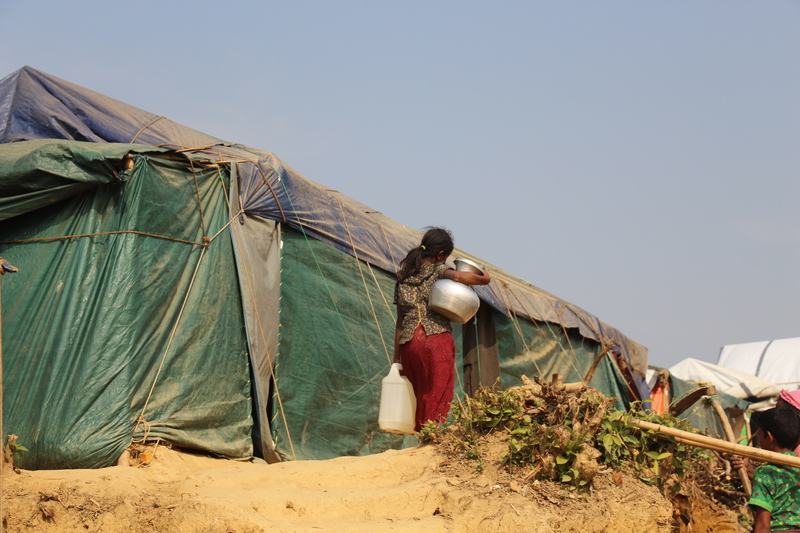 There are currently about 888,000 refugees in the camps in Cox’s Bazar. With such a large influx of refugees, host communities have also felt strain. World Vision has been providing humanitarian aid since the beginning of the crisis. Our work has been extensive in various camps, and prioritises the needs of children and mothers. 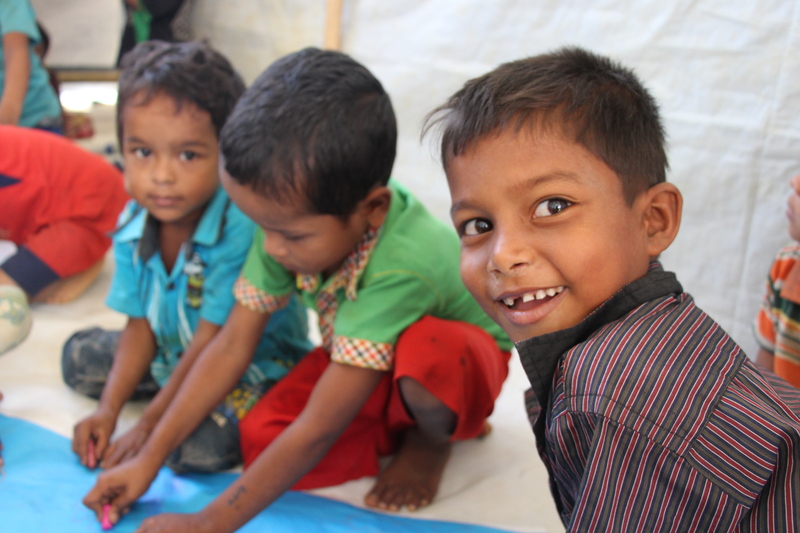 Some half a million refugee children facing urgent physical and psychological needs are living in appalling conditions in Bangladesh. World Vision is deeply concerned about the thousands of children who have witnessed and fled extreme violence who need targeted protection and psychosocial support. Over 1,000 children are regularly attending World Vision’s Child-Friendly Spaces. Keep updated and watch this space! We are always looking for volunteers to help us at events! Please email us if you're interested to help. We'll contact you before the next event. We are always looking for volunteers to help us at events. If you're interested to help, email us, and we'll keep you in the loop before any other activities! Click on these recent reports to learn more about your impact as a supporter of The Survival Fund! Hope for Humanity was held on 10 February, with speakers of various humanitarian and advocate profiles. 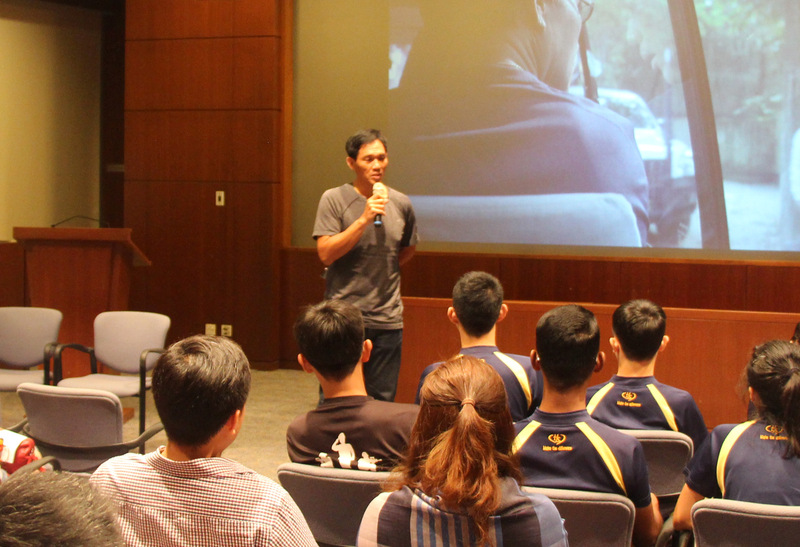 Guest speaker was Mr. Arnold Gay, from Kiss92FM, who shared his experiences in the refugee camps in Bangladesh. 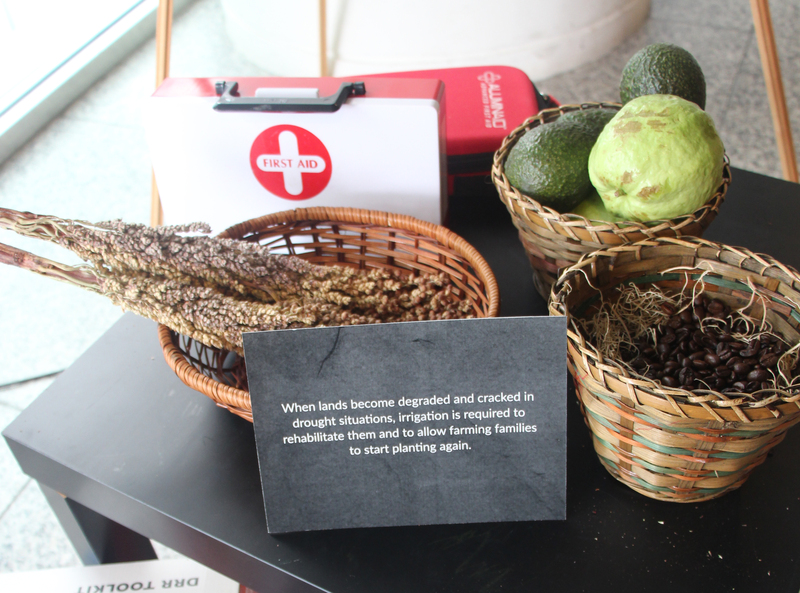 There was also an exhibition showcasing The Survival Fund and how it serves children in disasters.